What were some of your favorite moments? What do you need to change? What do you want to be intentional about? We’ll walk through different areas of your life as well (spiritual, relational, personal, and work.) This process has been such a game-changer for Zac and I as we think and plan and dream. I hope this guide is as helpful for you as it has been for us! 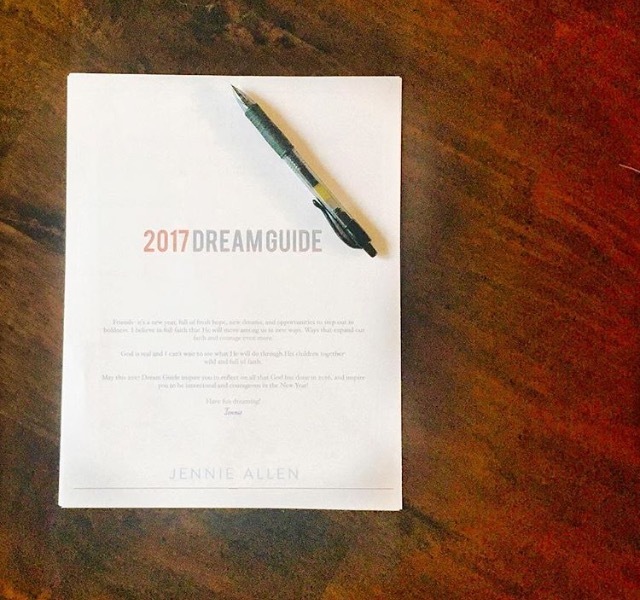 Submit your email below to get the latest Dream Guide PDF in your email inbox! Steal away alone, with a good friend, or your spouse, and dream a little today or over this next week. Post photos of your time taking inventory and use the hashtag #dreamguide. I can’t wait to see how God inspires and challenges you!